If using your own containers or bags, weight cannot exceed 60 pounds per container or bag. Fiber barrels, oil drums, lawn carts and wheel barrels are improper receptacles and we reserve the right not to handle these containers. Waste and recycling should be ready for collection by 6:00 a.m. the day of your collection. We recommend putting your trash out the night before your collection day. All curbside waste and recycling should be within five feet of the curb. Garage Service Customers: Please make sure your toter or personal container and recycle bin are outside of your garage, on the front side of your house, within clear sight from the road. 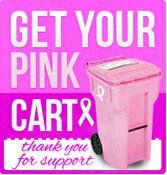 Please be sure to place any additional and/or bulk items (more than your toter and recycle bin) at the curbside for collection. Most towns are responsible for collection of brush and leaves. Please contact your town to see what their collection procedures and schedules are. If your town does not collect brush, please contact our office as we may be able to make special arrangements. Boon & Sons is not responsible for leaf collection. We will only collect bagged leafs in towns that do not provide leaf collection service, but volume / quantity must remain within normal weekly collection limits. A reasonable amount (1-2 cubic yards or six 30 gallon bags) of bulk items will be collected on a weekly basis provided that it is in containers, bundled or neatly arranged so as to facilitate easy collection. The material must be able to be handled by one man safely and will not damage our equipment. Additional charges may apply for amounts exceeding this limit. Contractor’s building waste, dirt, rocks, sod, trees, grass clippings, concrete, cars and similar items cannot be handled by our residential equipment. Please contact our office to arrange for roll-off service. Hazardous waste will not be taken. Please call Monroe County’s Household Hazardous Waste Program at (585) 753-7600. Please make sure your container is not blocked to ensure that your pickup can be made on schedule. We are closed on the following holidays: New Years, Memorial Day, Independence Day, Labor Day, Thanksgiving and Christmas. Click Here to view our current Holiday Schedule. Appliances are picked up separately from your regular trash and are recycled. There is an additional charge for Freon (CFC’s) and non-Freon appliances. Please contact our office if you require an appliance or large item pickup. Please contact our office prior to your planned vacation to temporarily stop your service and receive proper credit. Vacation credits are given for vacations lasting at least 2 weeks and a maximum of 2 credits will be given during any calendar year. Unfortunately you are not eligible for a vacation credit if you paid six or twelve months in advance. Also please remember to contact our office when you return from vacation to reinstate your service. Bi-Monthly Billing – You will receive a bill for two months of service in advance. Six - Month prepayment – We offer a 5% discount if you choose to pay six months in advance. Your free month credit will be applied in your second six month billing of the year. Twelve - Month prepayment – We offer a 5% discount if you choose to pay twelve months in advance. Your free month credit will be applied to your bill. You agree to use the services of Boon & Sons, Inc. for the period of time as indicated by the advance payment. Advance option payment must be paid within due date indicated on the invoice to make this offer valid (payment needs to be received prior to initial start date of service). No credit will be given for vacations. With your consent, we will automatically charge your credit or debit card when a bill is generated for your service. This convenient option eliminates the need to write checks or lick stamps! If you are interested in signing up for Auto Bill Pay, click this link and manage your account. We offer senior citizen discounts for our senior customers. Please contact our office to find out if you qualify. There is a $50.00 charge for returned checks. Please note that if your service is suspended due to non-payment, there will be a $20.00 re-instatement charge to resume service. Our rates are subject to change with or without notice. Some services are not available in certain areas. Your Visa or MasterCard is always welcome for payment. Your service level is either “Toter Service” or “Curbside Service” (including Garage). You have received 11 consecutive months of service (including no vacation credits). You have paid all of your bills within the 11 month period by the due date, and your account is current. Boon & Sons is glad to issue a proportionate refund for customers moving out of our service area. Refunds take at least four weeks to process. Boon & Sons reserves the right to terminate and or refuse service with or without cause. Any pro-rated refunds that apply at time of termination will be processed within four weeks. Upon any cancelation of service, non-returned equipment will be billed at $89.00 for toter carts and $5.00 for recycle bins (plus applicable sales tax).